THANK YOU FOR CHOOSING CYBERPOWER! Thank you for choosing CyberPower! Registering your CyberPower product is a quick and easy process. Just fill out the form below. Once you’ve registered your product, you’ll be eligible for product support and warranty coverage (if applicable). We’ll also send you reminders and important alerts about your product and other related topics. I'd like to receive email offers, industry news and announcements. 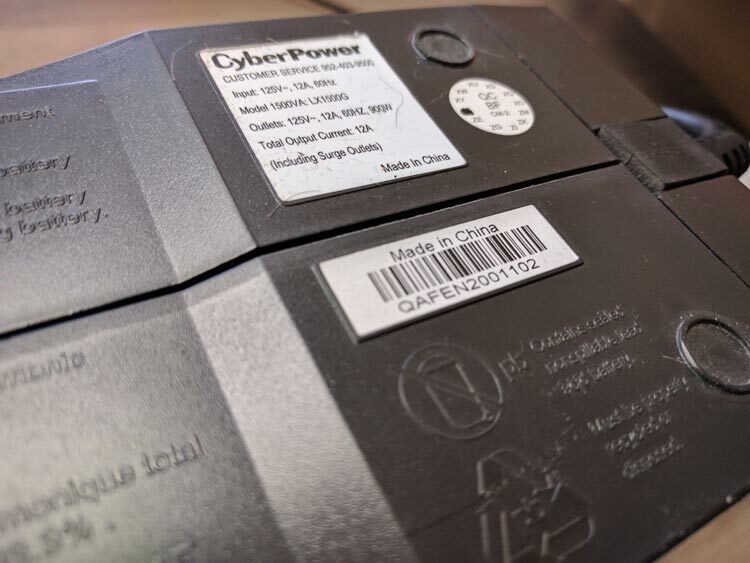 To find your CyberPower product serial number (SN) locate the small white rectangle sticker with the text "Made in China" on the top. Your product Serial Number is the 12-digit character set below the barcode. The product model number can be found on the backside of the product on a white label or stamped into the product housing. For questions or assistance, please call toll-free at 1-877-297-6937 (option 1) to speak to a Technical Support representative. Representatives are available Monday through Friday, 7am to 6pm, US Central time. Ready to register your product? Does your product have a serial number? Up to date product information, education and helpful tips. Easy access to your purchase history for warranty validation or insurance claims. Product support, alerts on important topics such as safety issues and product recalls. Verify your information here before submitting. If you'd like to review all your product registrations go to your Account Access page. For more information about your product visit our Support page.